TeamGram Shows your profile picture next to items you create. By default, your profile picture consists of the first letter of your email address, and a randomly assigned background color, but you can change it to anything you want. Click on your username at the upper right corner of the screen. Find your profile picture and click on the Change link under it. 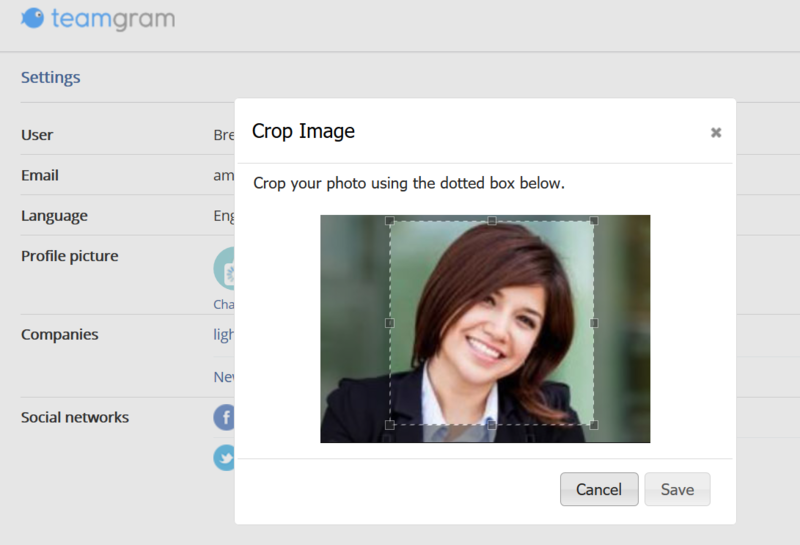 Select a photo stored on your computer to use as your profile picture and click Open. The crop tool will open with the selected photo. Move the corners of the square selection area to select the area that you want to use as your profile picture. Press save.